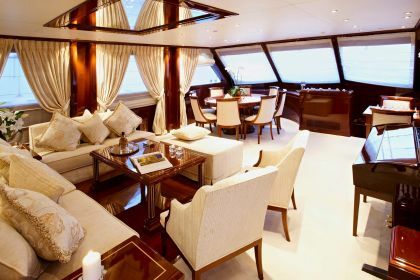 Iraklis L’s beautiful interior features rich mahogany and marble blended with light colours, and oversized windows to allow natural light to flood through. 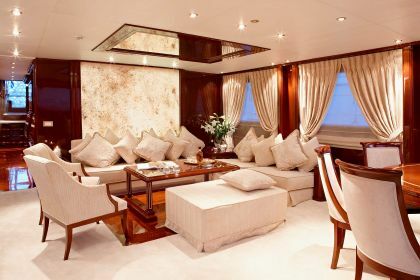 The elegant schooner’s broad beam of 7.62 metres allows for spacious living areas including a full beam saloon, which has generous seating beneath a glittering mural. 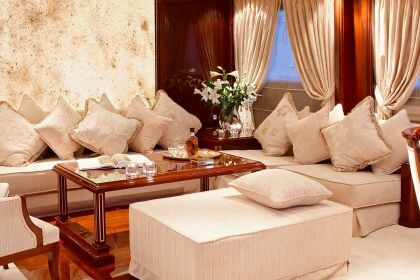 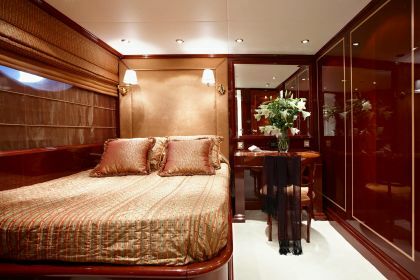 Accommodation comprises an owner’s suite aft of the saloon, which benefits from a private outdoor dining area, and five stylish guest suites. 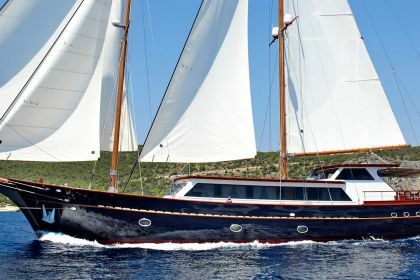 Classic schooner Iraklis L was launched in 2009 by Greek shipping company, Onar. 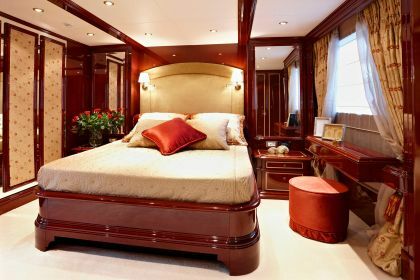 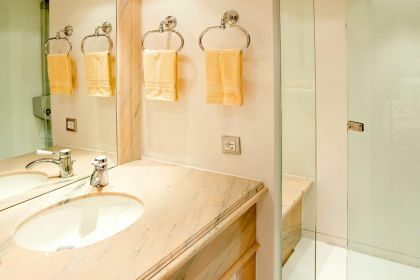 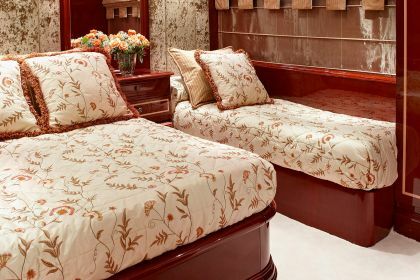 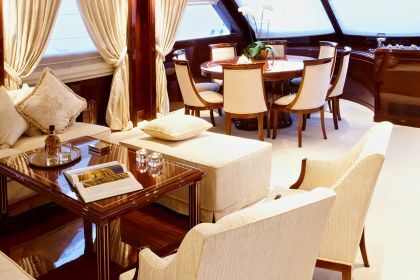 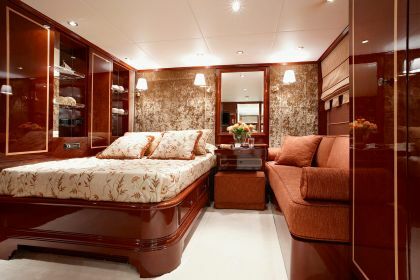 The yacht’s luxurious interior was styled by Lally Poulias, and her graceful exterior is the teamwork of Lally Poulias and the yacht’s owner Hercules Vlachodimitris.